The Museum of Capitalism is an institution dedicated to educating this generation and future generations about the history, philosophy, and legacy of capitalism. Representing the collaborative efforts of a multidisciplinary team of curators, artists, designers, and historians, the Museum strives to broaden public understanding of capitalism through multifaceted programs: exhibitions; research and publication; collecting and preserving material evidence, art, and artifacts related to capitalism; commemorations, reenactments, and other events; and a variety of public programming. 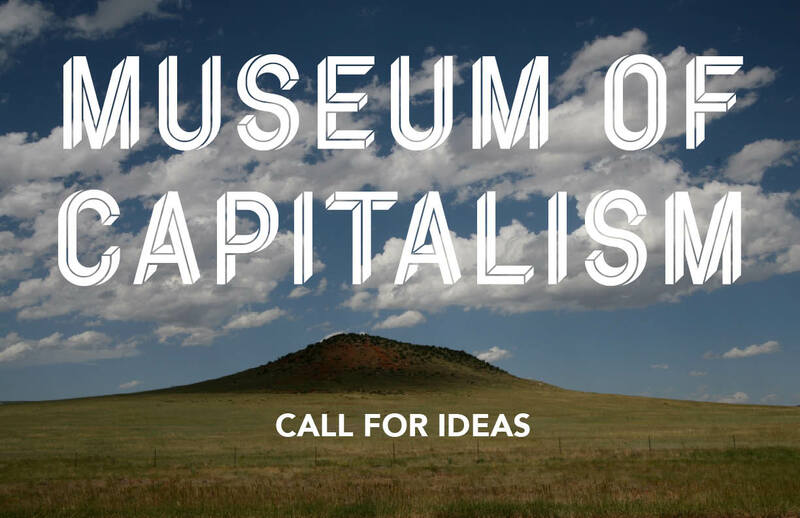 As part of an initiative to build a more permanent public presence, the planning committee seeks bold proposals that answer the question: What should the Museum of Capitalism look like? Proposals may address questions beyond the visual appearance of the Museum’s design. How will it be built, where will it be located, and how will it interface with its surroundings? How might visitors be drawn to experience capitalism, to think it and to feel it, through interaction with museum spaces? The committee seeks answers to these questions in the form of strong architectural ideas and images. The Museum of Capitalism’s curatorial vision includes consideration of the close historical ties between museums and capitalism. How might museum spaces reference the role of museums in projects of colonialism, modernization, and industrialization, the social and ecological impacts of the museum’s traditional function in preservation of cultural materials, or the role of museums as ritual spaces for the performance and production of citizenship, identity, and other subjectivities? Entrants are encouraged, though not required, to reflect upon these questions. Who inhabits museum spaces, and why? Who or what is on display, and how does it come to be there? What were the origins and implications of its ordering and classification, its constructed narratives and experiences, its participation and interactivity? And how do the answers to these questions change in a museum that memorializes the era of capitalism? There are no restrictions on scale or scope of proposals—site, square footage, height, materials, budget, etc.—as long as submissions follow competition rules and meet the criteria for entry. This public competition is the first stage of a design process intended to help guide the thinking behind an eventual building project without imposing any constraints. Designs may be proposed for specific sites or surroundings, may be of reworkings or recontextualizations of existing buildings or sites, and may consist of entire buildings or specific rooms, galleries, or parts of the museum. Though we encourage proposals that are highly conceptual or speculative, the written part of the proposal and its accompanying visual materials should be clear and powerful. submitted: "My proposal follows the model laid out in the video, but of course on a larger scale." Museums are for the foreign and the dead. The attempt at the theorization of the living by the living is the biggest delusion of modernity. It turns everything into design, and design is death. Art, even as the description of death, even as synonymous with dying, is not yet synonymous with death.